The following are directions to the United Soccer Academy's Indoor Training facility. 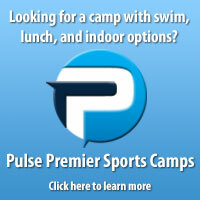 For directions to individual classes and camps, please use the yellow "Advanced Camp & Class Search" dropdown menu at the top of the page and find your camp through there. Northbound – Exit 9: Bound Brook – River Rd. • Merge right onto River Rd towards Bound Brook – 1.6 miles. • Turn left onto E Main St – 0.2 miles. • At traffic circle take 2nd exit to continue on E Main St – 0.2 miles. • Turn right onto Maiden Lane. Building will be on the right hand side. • Follow directions from 22 Eastbound. Eastbound – Bound Brook – Mountain Ave.
• Merge right onto Mountain Ave – 1.3 miles. • Turn left at E Main St – 384ft. • Take the first left onto Maiden Lane. Building will be on the right hand side. Westbound – County Rd 527/Bound Brook/VA Hospital. • Turn right at Mountain Ave.
Eastbound/Westbound – Exit 29: Somerville – 287 Southbound. • Follow directions from 287 Southbound. Northbound/Southbound – Exit 10: 287 Northbound. • Follow directions from 287 Northbound. Northbound – Exit 127: 287 Northbound. Southbound – Exit 142: 78 Westbound. • Follow directions from 78 Westbound.